Sometimes you hit a creative road block, or in my case this time around, a wall. As a creative, this happens frequently when a number of factors are involved. For me, it's the weather, the time of the year and balancing a full-time career with this side hustle I have. As many of you know, my full-time job is not my blog, it's being an Art Director at Amazon. My blog has been my side hustle for the last four years and never felt like work to me, it was fun and something I enjoyed working on when I was home from work or on the weekends. It fulfilled me, inspired me and grounded me as a creative. This was until the last 2-3 months, when for the first time in four years I began to hate blogging. It felt like a pesky chore I dreaded to work on, especially after long work days. I started to hate the way I was writing blog posts and what sort of content I was putting out into the world in general. I started to lose sight of WHY I was posting content that mattered, instead, I became more focused on WHAT I was posting to hopefully gain more likes, engagement or followers. I was also beyond sick and tired of the social media side to blogging where it revolved solely around numbers, followers and likes instead of the effort or authenticity behind a post. It became truly exhausting. My identity behind West Coast Aesthetic felt lost. 1. West Coast Aesthetic is a place to consume, create and explore. The content should follow suit to these three pillars. 2. West Coast Aesthetic is a creative outlet and should be prioritized as such. Work is work. Creating is creating. When creating starts feeling more like work, take a break. 3. West Coast Aesthetic is a blog that encourages collaboration and conversation. #2 resonated with me the most. It's amazing that four years ago I called out the importance of taking a break when creating did not feel like creating any more. Because this blog is my side hustle, I have the luxury of taking a pause to focus on other aspects of life. For me, I prioritized work, traveling and moving in with Tristan over blogging the last two months. Sure, I still posted on Instagram and put a blog post out into the world sporadically, but there wasn't much consistency to it. It's because I needed to reflect on #1: why I started West Coast Aesthetic and why developing content that would encourage myself and others to create, consume and explore was so important. 1. Make updates to West Coast Aesthetic website. WHY: Having a newly updated blog website makes me want to write, create, contribute to it and maintain it. 2. Develop a unique idea starting method that works for me. WHY: This will help create posts that are more "in the moment" and relevant to what's going on in life rather than sticking to a strict content calendar forcing me to post, which feels less authentic. I now keep a Notes section on my phone to organize my thoughts and keep an album on my phone to organize any visual inspiration and at the end of each day I reflect on if this warrants blog topics, conversations or posts. 3. Collaborate and network with more bloggers/creatives. WHY: Collaboration with creatives is something I miss the most about blogging. Truthfully, one of the main reasons I started blogging was to network, make friendships (some of my best friends are the ones I made through blogging!) and collaborate together. The more oversaturated blogging has become in our creative community, the less creative collaboration and genuine networking I have seen. I want to change this and reach out to you, the creatives that inspire me! I want to create with you, grab a coffee (or drink) with you and continue to encourage you to be the best creative you can be! 4. Focus more on content that matters (and is long-lasting) rather than instantaneous and not that impactful. WHY: Sure, we all like to know where a head to toe Like to Know it outfit comes from, but is this something I'm going to remember beyond 24 hours after seeing the outfit? Probably not. I started getting caught up in posts that revolved around instant gratification for my followers and lost sight of producing content with more substance. Of course I'm not giving up outfit of the day posts or keeping you up to date with trends I'm loving, but I also want to work harder on creating content that will hopefully make you think, engage and extrapolate on topics I address here on West Coast Aesthetic. 5. Change my mindset. WHY: It's so easy to get caught up in the "Why am I not reaching my follower goals?" or "Why wasn't I invited to that event?" It goes on and on. Self-criticism is crippling when you're a blogger or a creative in general. The more you compare yourselves to others the less you focus on yourself and your own content. 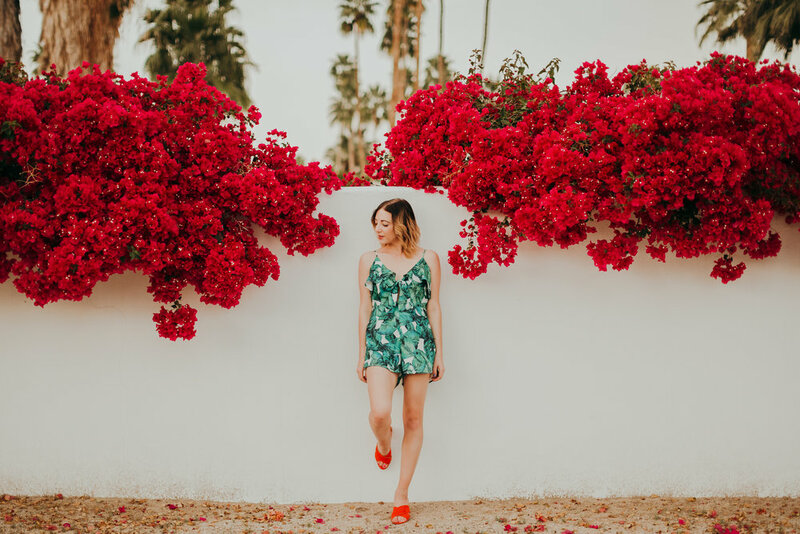 I realized more than ever the benefit of taking a PAUSE from blogging (and being okay with it) and WHY that helps me reset. I tried to spend less time on Instagram scrolling mindlessly through posts and stories. I also spent an afternoon unfollowing people on social media that made the experience negative for me. I'd be lying if I said I didn't still care about the followers, the likes and worrying about the content I'm creating and sharing. But if by each passing day I worry less about those things and put more focus into what I'm creating, that's progress. And now, after 2-3 months of what I call my Blog Hiatus, I'm back. I'm back with a refreshed website, new goals, a better mindset and a willingness to focus on my WHY list. Sometimes you have to take a break to reflect on why you started to keep going, and that's what I'm doing. I really hope this post has encouraged any of you experiencing a bit of a creative block to hit the pause button, write out your WHY list to determine why you started and where it is you hope to go on your creative journey! Want to chat more about hitting a creative wall? I'd love to connect and hear from you! Leave me a comment, shoot me a DM or an email (westcoastaesthetic@gmail.com) I'm all ears.